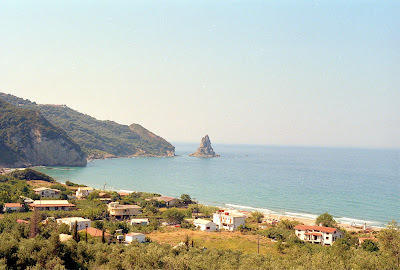 If you have an itch to visit the Greek islands while you're nearby in southern Italy, there's no need to fly to Athens. The island of Corfu, one of the larger Greek islands, is just a ferry ride from Italy and may fit into your family’s travel itinerary a little easier (and less expensively) than those off the coast of the capital. And just because I had a horrible experience doing this 25 years ago doesn't mean things haven't changed, especially if you're not a 24 year old backpacker looking for the cheapest transportation possible, like I was. Head over to Brindisi, on the Adriatic coast of Italy, where you will find the most frequent (and the shortest) ferry crossings to Corfu by a number of different ferry operators. If you're traveling in the peak summer months, the trick is to make a reservation a couple days in advance so that you actually have a seat. Yes, here's where things can go wrong. The ferry services will sell you "deck seating" when the boats get crowded, and you will presume that means a chair on the deck. But those few lounge chairs on the deck are swiftly taken, and you will be stuck "deck sitting" instead of with "deck seating." I slept on the floor of the outdoor deck of the ship for the entire 9 hour night trip. I don't advise this. Booking in advance can assure you a cabin - shared or deluxe - or an aircraft style seat or several other classes of ticket. At least I had a nice view from my "seat" on the bow of the ship. 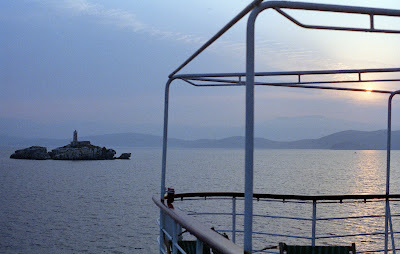 You'll want to board the boat from Brindisi to Igoumenitsa, on the Greek mainland, since it stops in Corfu. 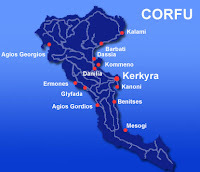 Corfu is a very lush, green island with excellent beaches, a mild Mediterranean climate, and over two million olive trees. So many of the more popular Greek islands, like Santorini, Mykonos, and Ios, are party islands and great for singles looking for fun, but the atmosphere in Corfu is very laid back and much more suitable for families. The island is rich in culture, significant musical tradition, and local culinary specialties (lots of squid)! 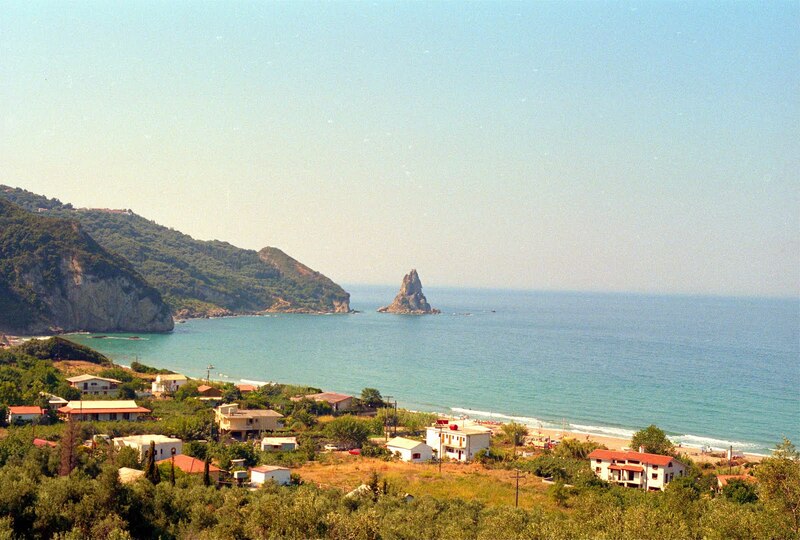 Two views of Agios Gordios beach on the west coast of Corfu. Architecture in some parts of Corfu looks very different from other Greek towns due to the influence of many centuries of Venetian rule. 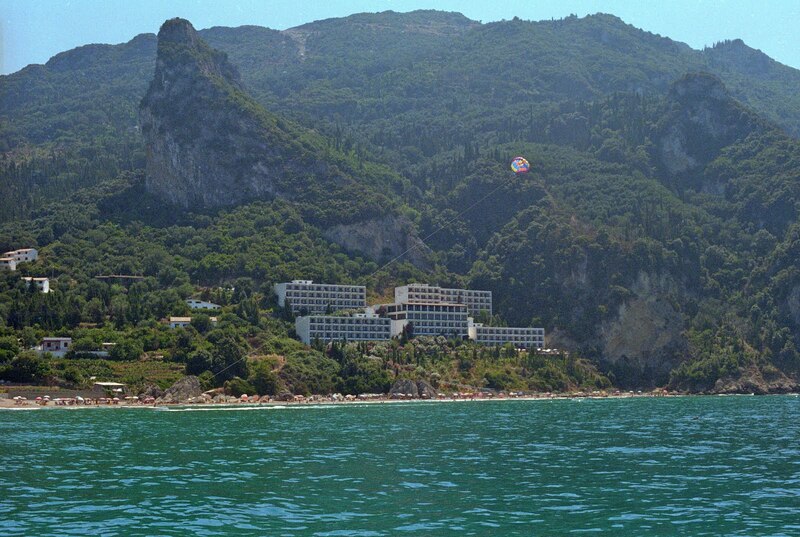 Interesting sites to see are the Palaio Frourio, an old Venetian fortress on an islet; Achillion Palace and its picturesque gardens; the Vlaheraina Monastery; the famous beaches of Paleokastritsa and the Canal D'Amour in Sidari; and even Aqualand Corfu, a water park for you and your kids! Just one more tip on the ferries: they are run by Greeks. Just because you book a ticket on a website, doesn't mean that itinerary (or even that company) will still exist when you go. There may be a schedule change, or a cancellation, of which you will of course not be informed. Price reductions are supposed to be given to InterRail and Eurail Pass holders, but in my experience this is up to the whim of the particular ticket agent you are speaking to. During the high season, be deliberately insouciant when you approach the ferry operator about a return ticket to Italy, because if he senses any urgency or desperation in your voice to travel that day, or any other predetermined day, your desired boat may suddenly be full and he will offer you "one of the few remaining tickets" available on the only alternative - and much more expensive - ferry. Nothing against the Greeks, of course. They just have a different way of doing business. Great post! 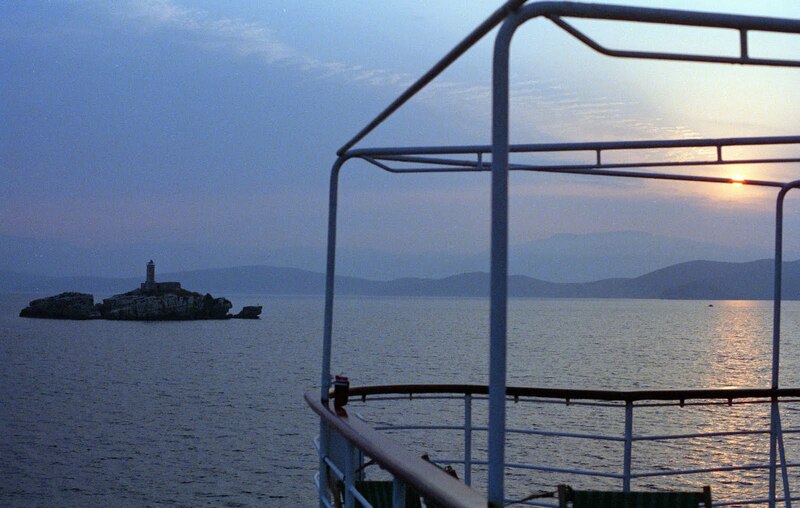 Brings back lots of happy memories of the ferry journeys I took when I backpacked round the Greek Islands in 2005. Happy Days! i haven't traveled in a LONG time...look forward to traveling thru your photos!